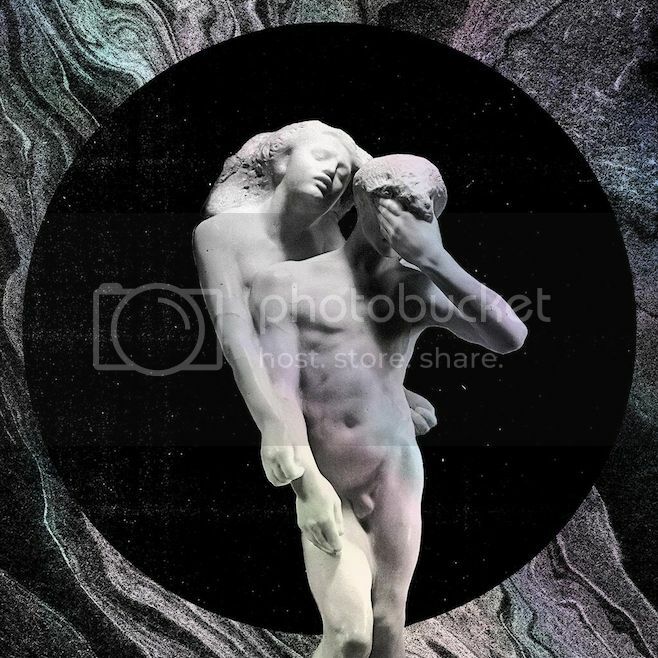 The band's title track is officially released today at 9pm, but it appears as though they've also revealed Reflektor's artwork. Yes, we all had a micro heart attack on Saturday when Arcade Fire's latest single 'Reflektor' leaked online. And it had James Murphy on it. And - although it still seems too wonderful to believe - Bowie. Reflektor's title-track is set for an official release tonight (9pm local time all around the world, which means New Zealand are among the first lucky ones), and to tease us even more about the band's fourth album, the artwork has just been revealed. The album cover portrays the Greek legend of Orpheus and Eurydice, a young couple whose love would be challenged by death itself. UPDATE: According to Arcade Fire Tube, the band is allegedly performing again tonight as The Reflektors at Salsathèque, Montreal. The show begins at 9pm and a "formal attire or costume" is mandatory. They will also be the musical guest on Saturday Night Live's season opener on September 28th, which Tine Fey will host.